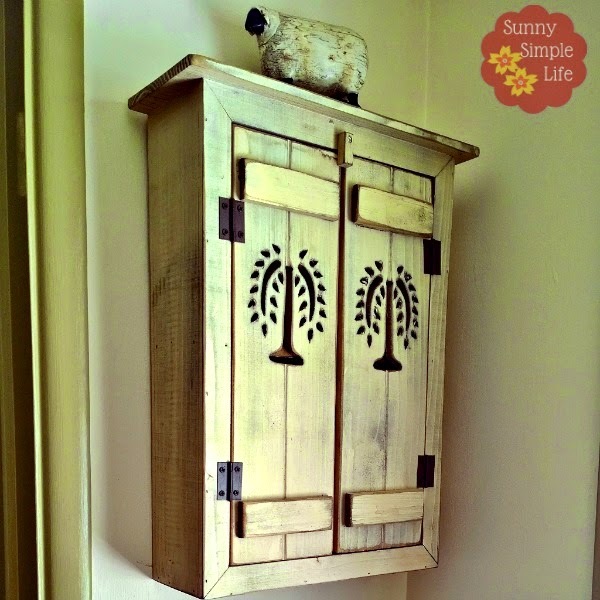 See how to cover an ugly alarm panel by modifying a small hanging cabinet. 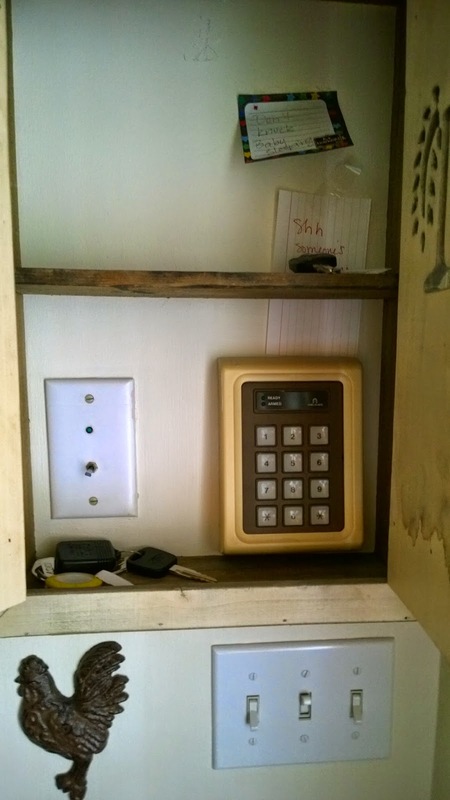 Right in the front entry of our home we have a hideously ugly alarm panel next to an even older alarm switch. I have always hated looking at these and wanted a way to cover them up. So here is how we covered up our ugly alarm system. Here is what is hidden inside. 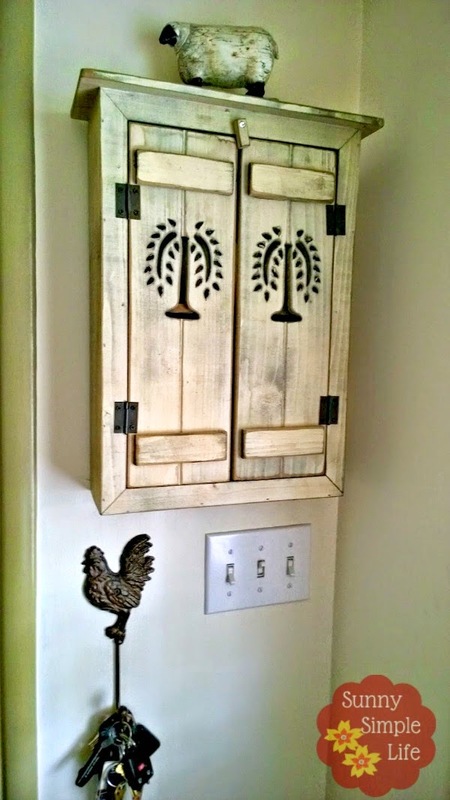 We took a shallow small wall cabinet and popped off the back panel. It is small enough to not stick out as we go in and out but the perfect size to camouflage the ugly alarm pads. It also is a great place to stash keys and sunglasses right by the door. There you go. The alarm system is covered and the entry looks so much better. You'd never know what was hidden inside. Great idea! I like that fits so nicely with your prim decor too! WOW!! It's huge!! Great Idea!! Cute, cute, cute!! I love it! This is great. What a clever woman you are. Looks very good. I love this idea. Very cute!! There you go again, being soooo clever. 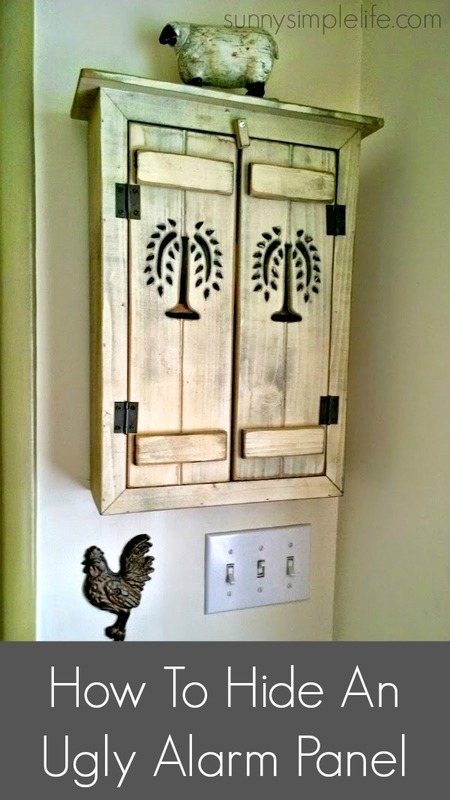 Love that cabinet, its so YOU. What a great camouflage job! Oh I need to do this in my house! And love the tree of life motif. One of my favorites! I have a fuse box to hide in our guest room. Thanks for the idea.